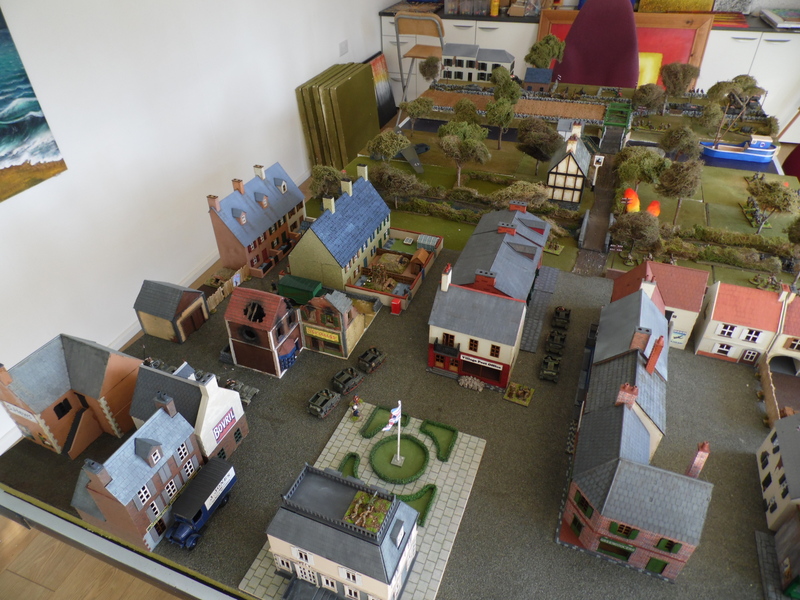 As promised a while ago here are a few shots of some of the units from my Dad’s army game. 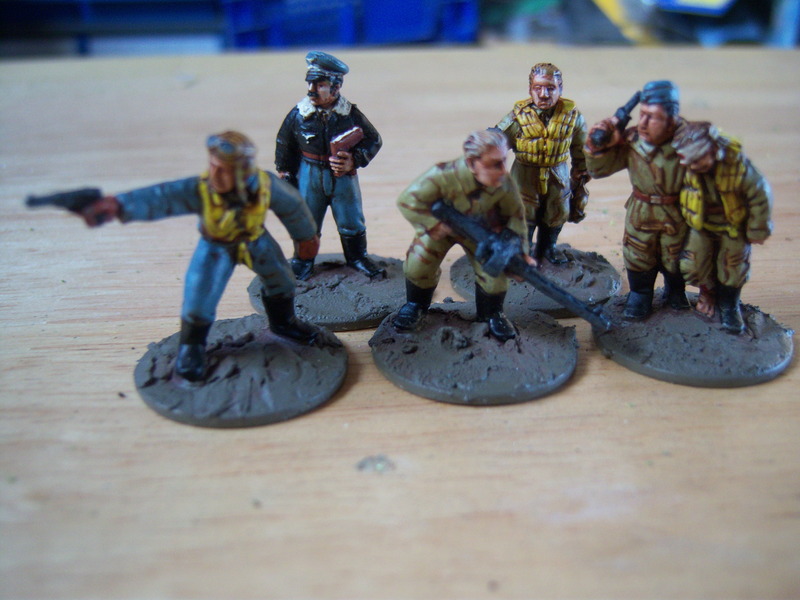 Most of the figures are foundry with possibly the odd blacktree and crew weapon from Sloppy Jaloppy. 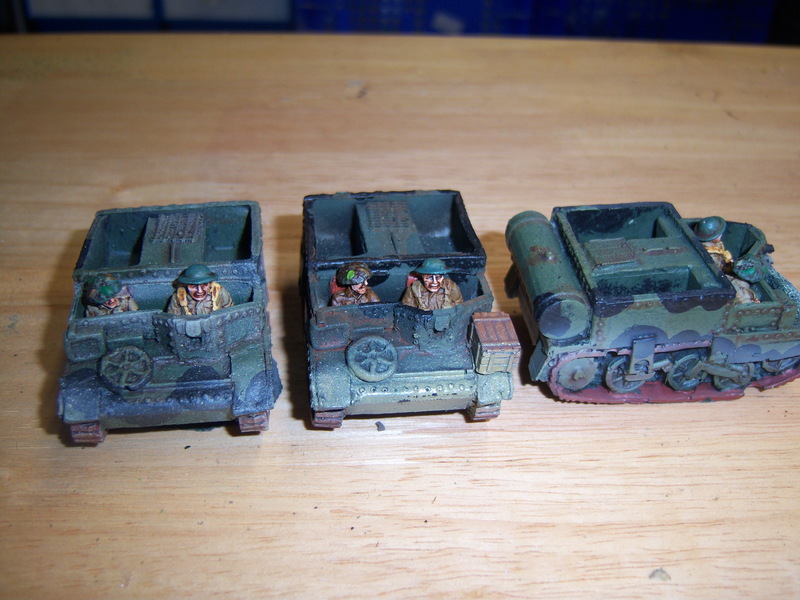 The vehicles are HLBS, Chieftain, Sloppy Jaloppy and scratch built bren carriers. The locals including Mrs Fox. Anyone of them could be a 5th columnist. Foundry. 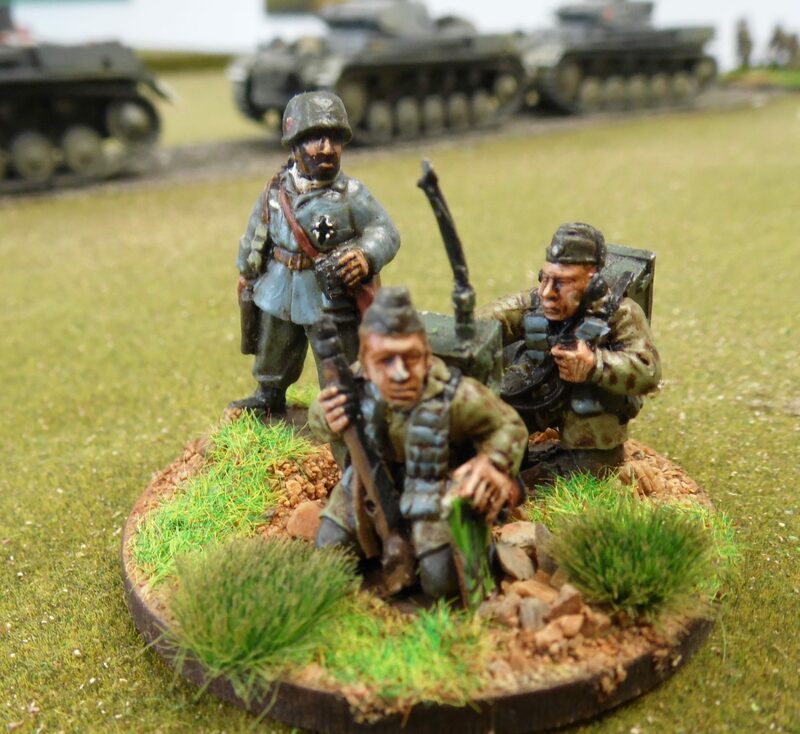 Mainwaring , Wilson and Jones. 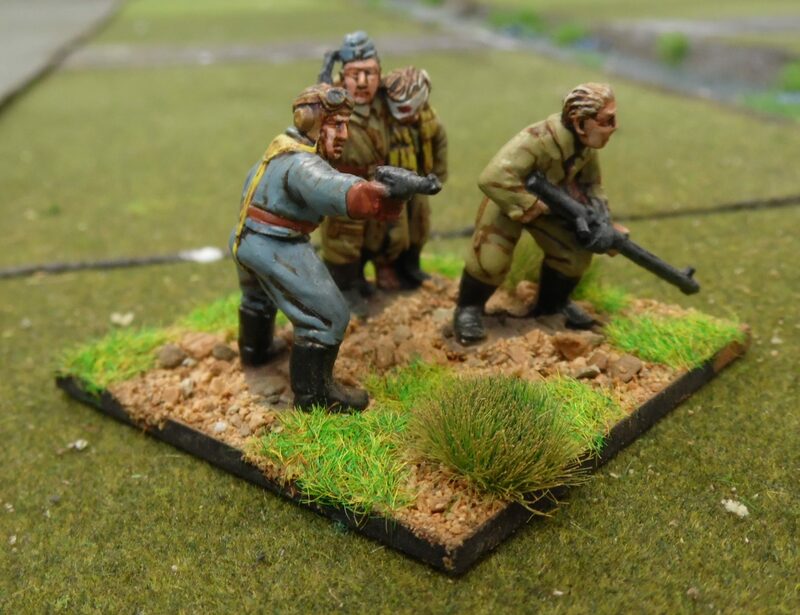 When playing Jones you gained a +1 in combat for shouting” they don’t like it up them”. Centainly got visitor’s attention. Foundry. 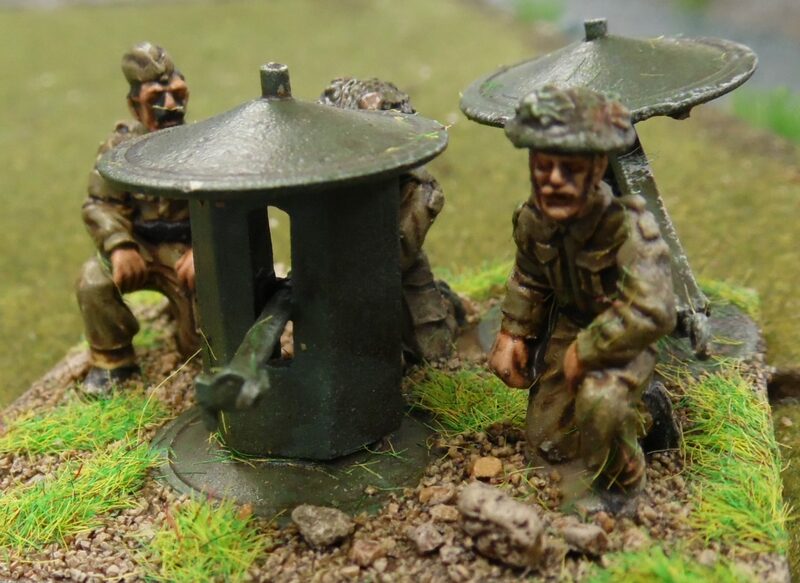 Spigot mortar. Sloppy Jaloppy I think? Beaverette by Sloppy Jaloppy. 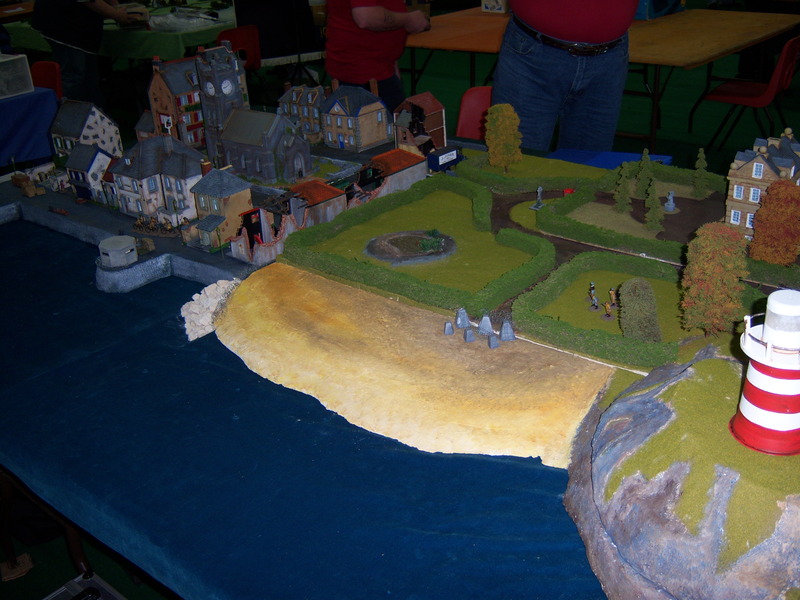 Great model. 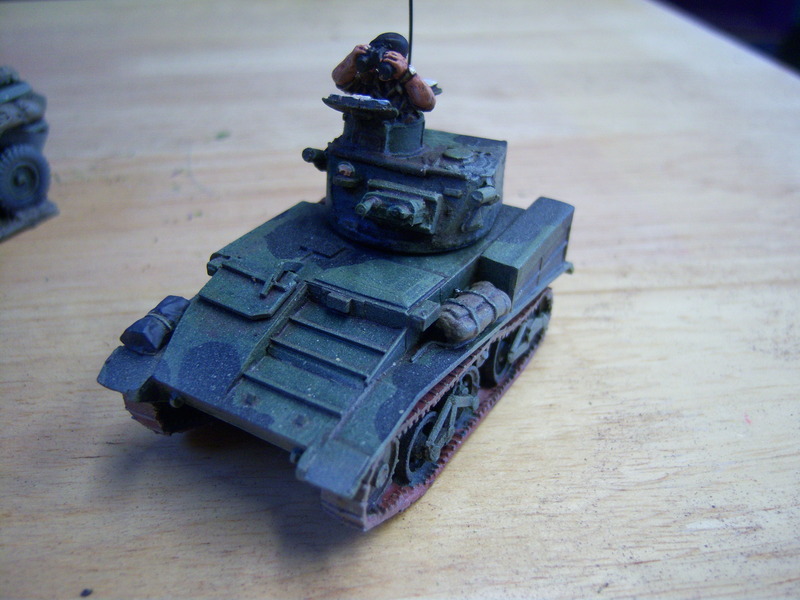 I have scratch built a later version with a turret. 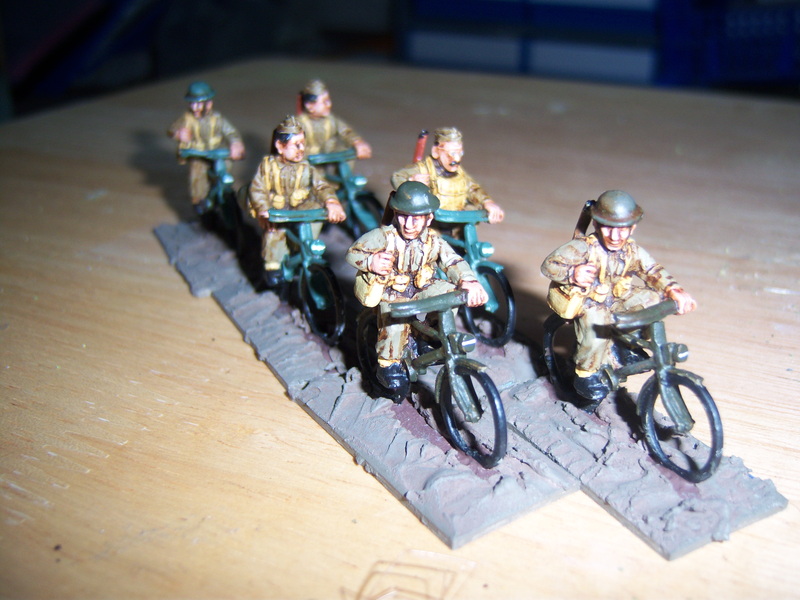 Bren carriers by me. Could not resist a flame thrower version. Well to play the game I wanted an easy set of rules. the game would have about 10 players with 20-30 units. They needed to be quick to pick up and give a fun and fair game. I decided on a card based turn. This meant that each unit had a card with its name on plus an end of turn card. These were made by printing the details on to address labels and applying them in turn to a deck of playing cards. The major players each received a small character history. These gave me the chance to have a bit of fun but also gave the players some clues as to how to play the game. I also made a small deck of card that had the characters on. One of these at random drawn by the German player would be a 5th columnist. They got points for destroying phone booths. They did this by being moved into contact with one. 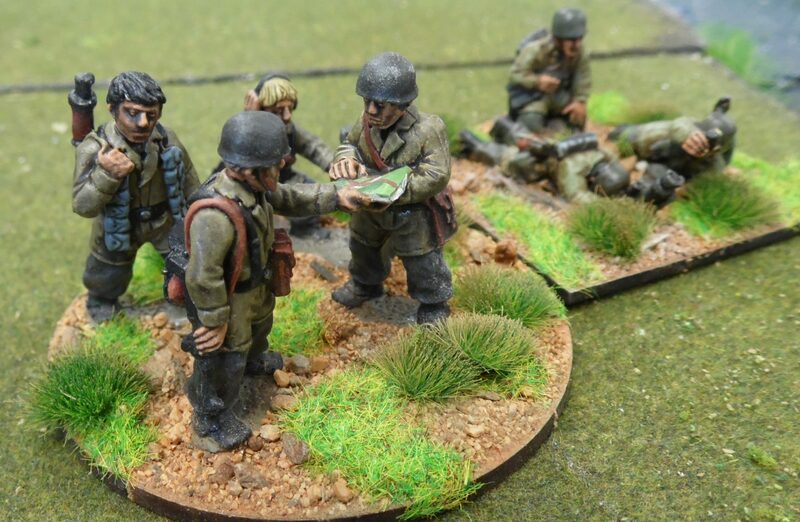 To stop them getting discovered, when the civilian card was turned the British and German players rolled a D10 for initiative. The higher wins. Then a D6 is rolled, this gave the number of civilians able to be moved. this allowed the 5th columnist to be hidden in a crowd of moving figures or not moved at all. This turned out to be a fun bit as British constantly chasing suspected 5th columnists. here are a copy of the rules. I hope you enjoy them. they don’t like it up em! 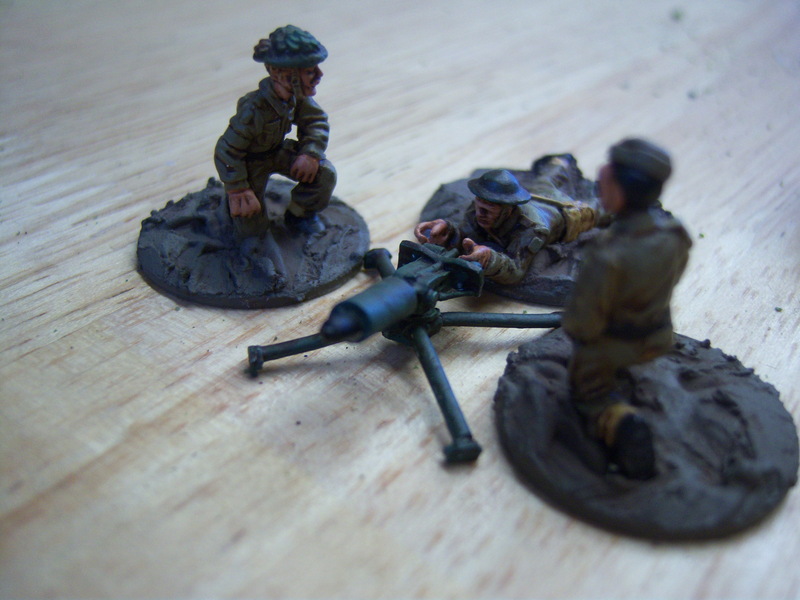 Unfortunately the aircrew did receive a few casualties. 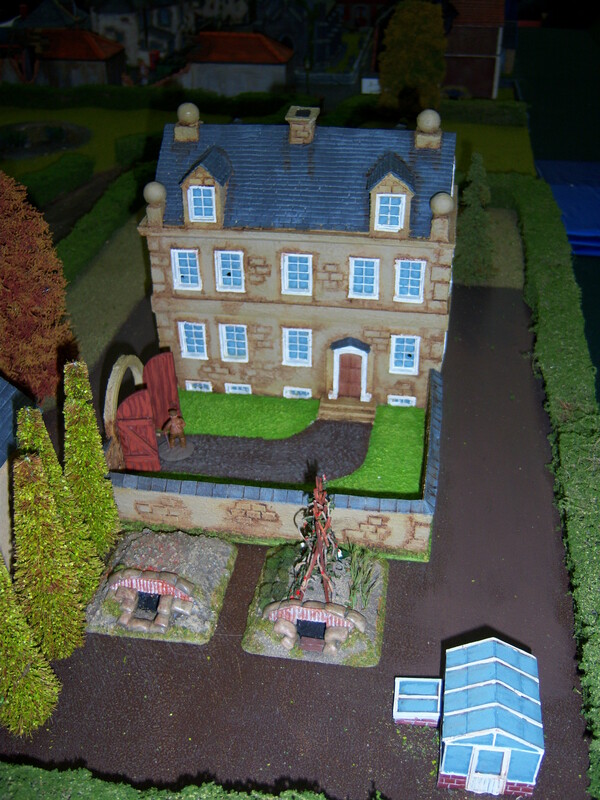 They had taken shelter in the manor garden around the green houses. 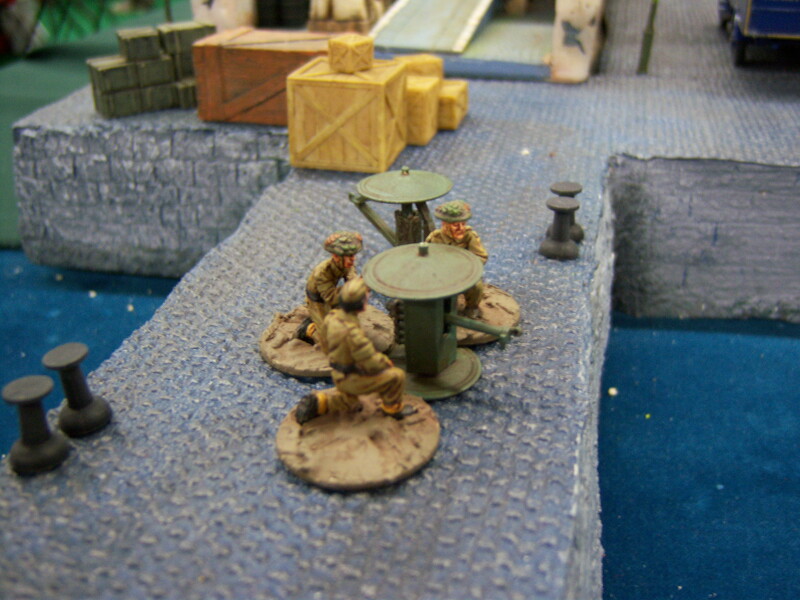 Ammo resupply crates were placed around the table. Some were blank. 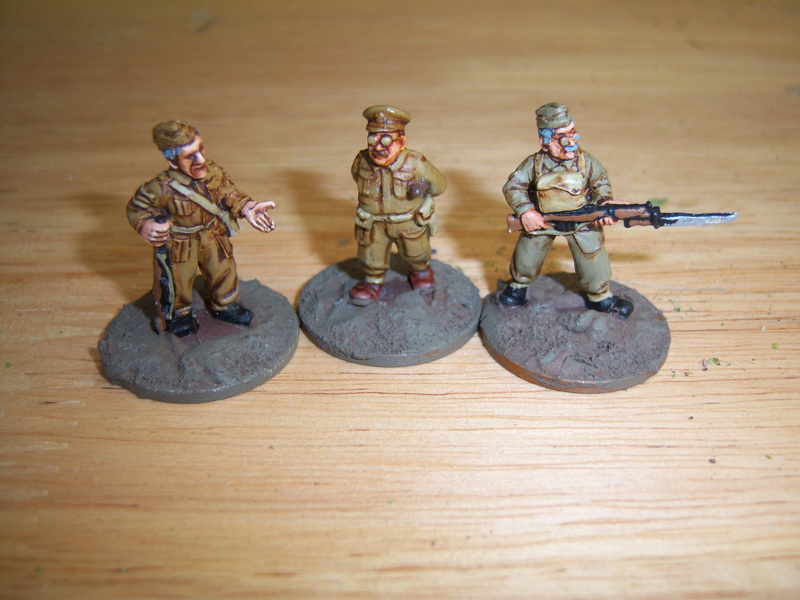 The home guard were lucky! 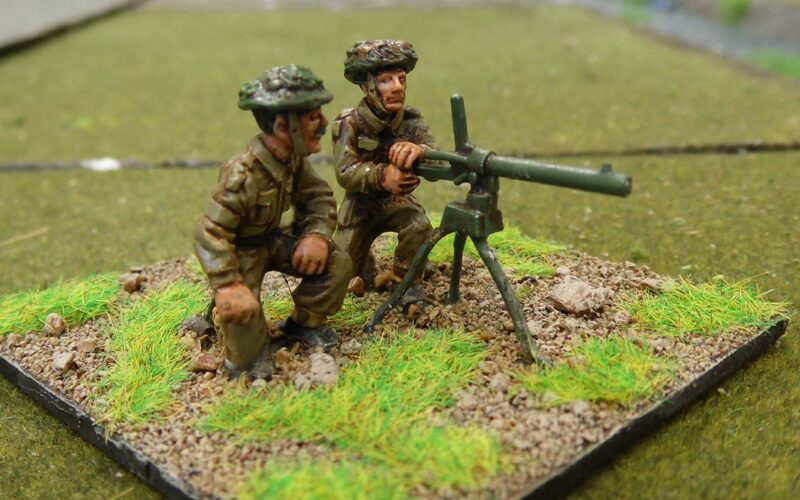 they have a beaverette, smith gun and Lewis gun. The smith gun is place on the quay. Manufacturer unknown. 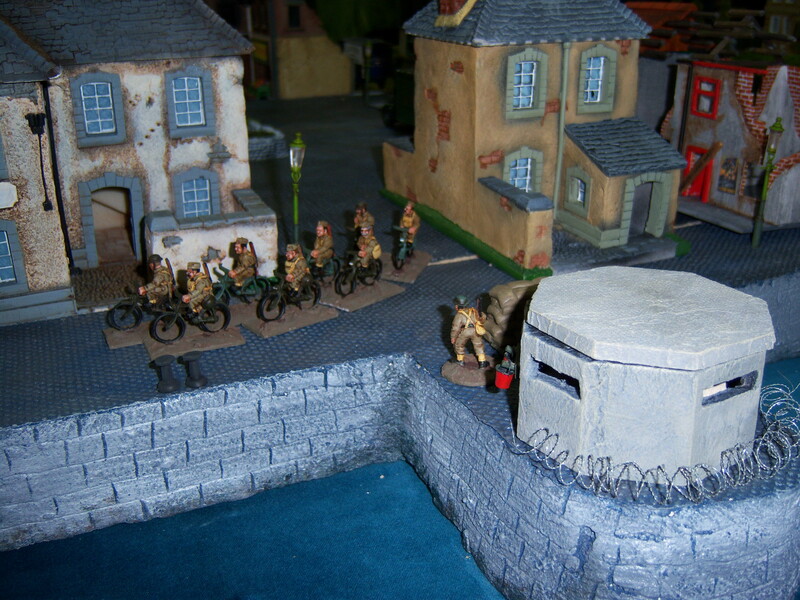 Lewis gun shelters in the pillbox as the squad on bike return. The 5th columnists was Mrs Fox, Jones will be upset. 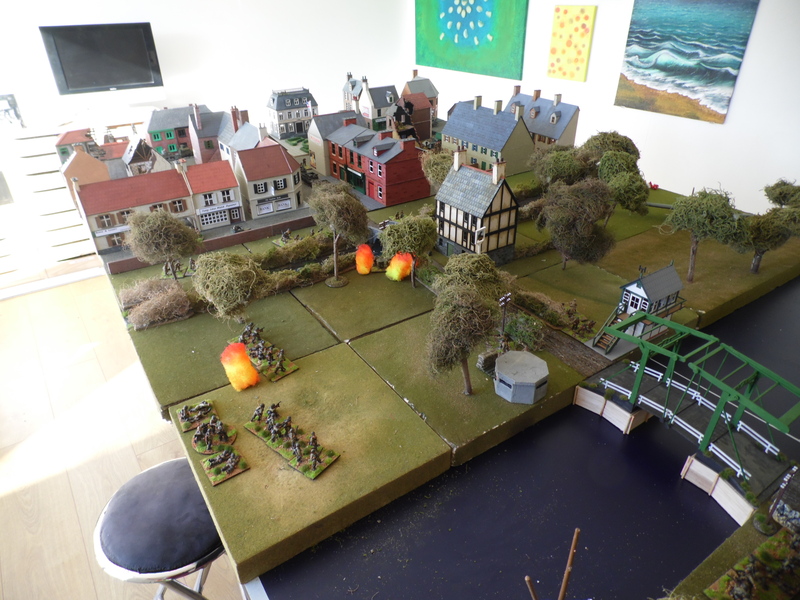 Fallschirmjager were dispersed and arrived on the table at 11am, 3 hours to rescue the plans, agent and escape before the tide goes out. 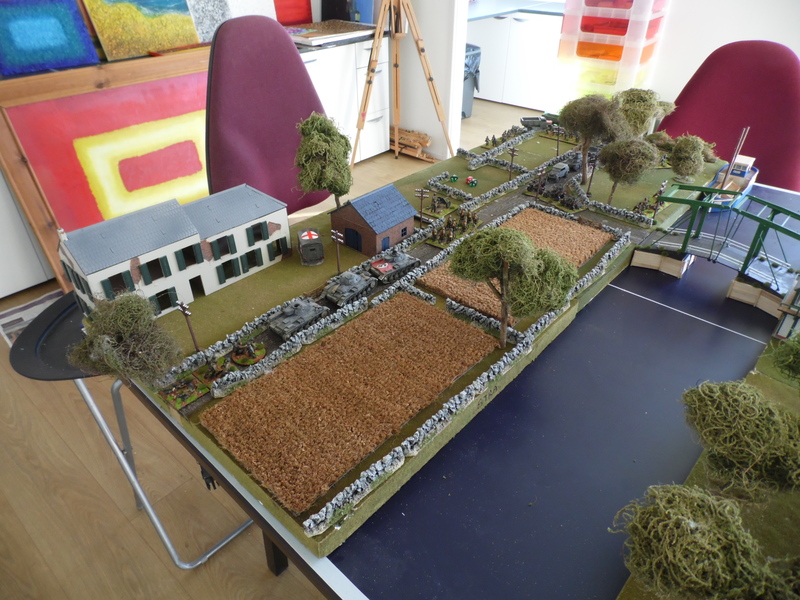 The germans advance carefully and captured most of the area around the lighthouse and manor. 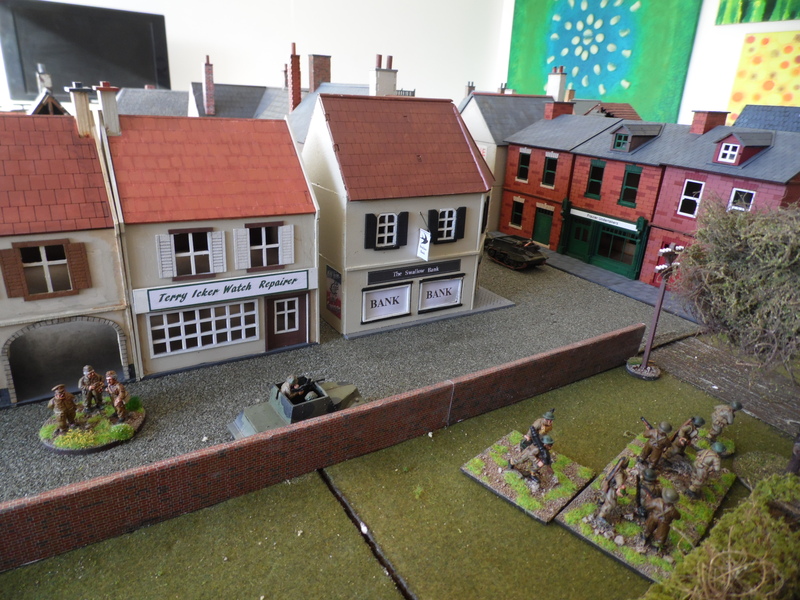 Her,e there was a short firefight with a returning squad of homeguard. A few casualties on both sides. This had the desired effect of alerting the downed crew who came out of hiding. They were promptly shot at by the husband of the captain’s mistress. The player of the crewmen did not know why until he spotted the leader and advised that he knew of the affair. 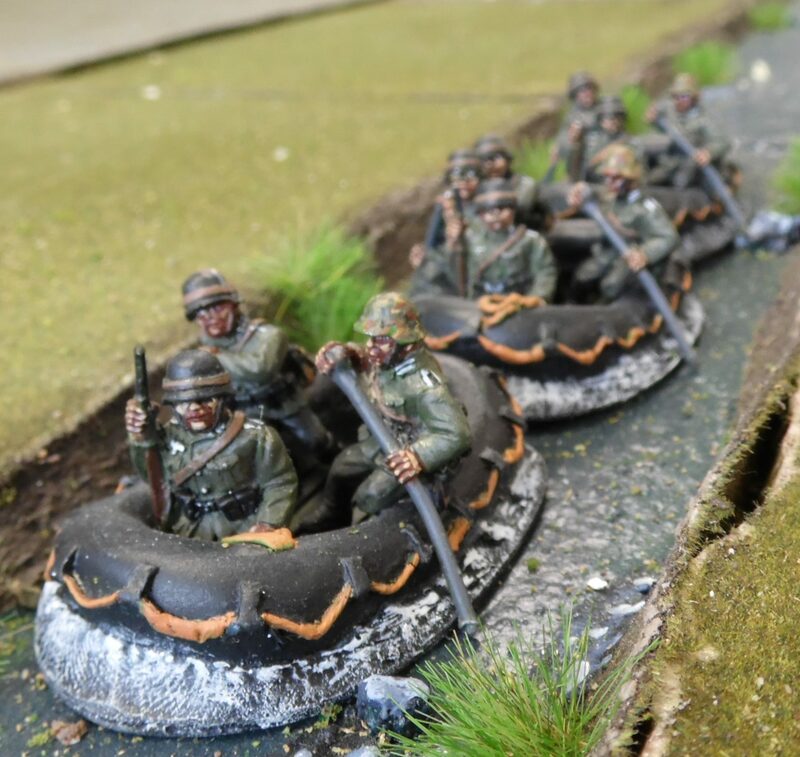 The crewmen started to head to the British to surrender! 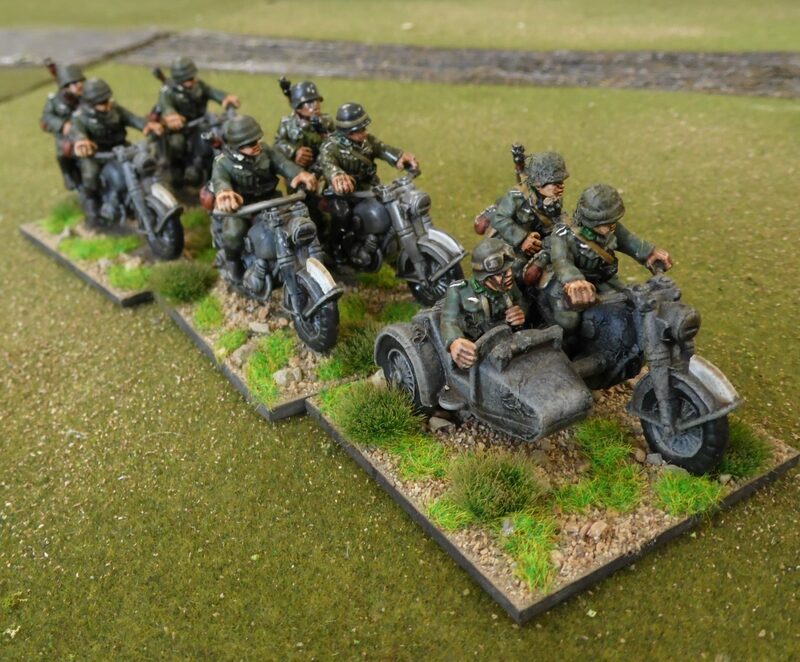 They made it to the town but more fallschirmjager were turning up all the time. The crew handed them selves in. 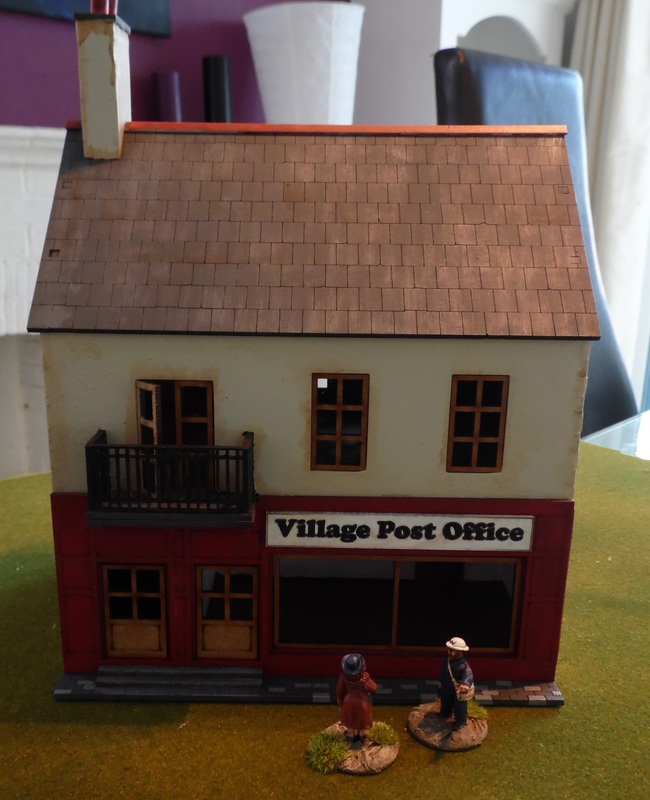 The safety was short-lived as the group were attacked. 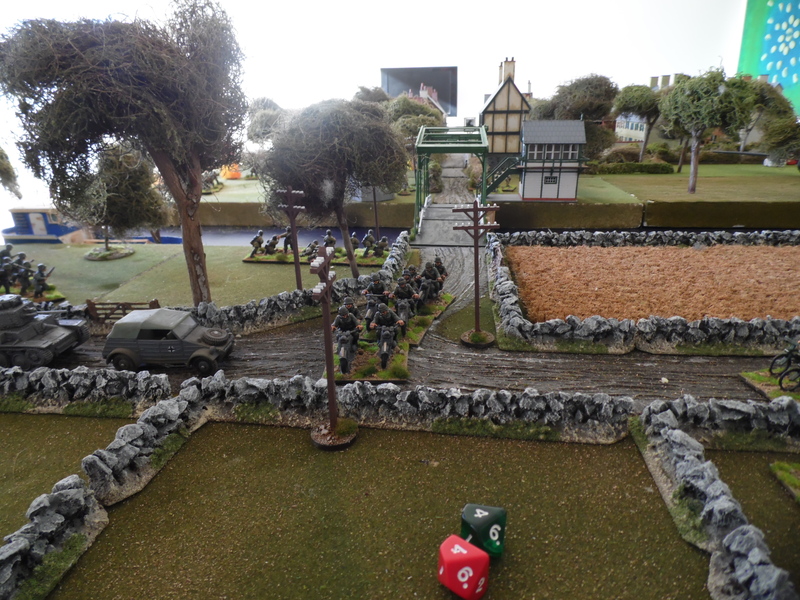 Even Laurie playing Jones shouting “they don’t like it up them” to get +1 in combat didn’t help. 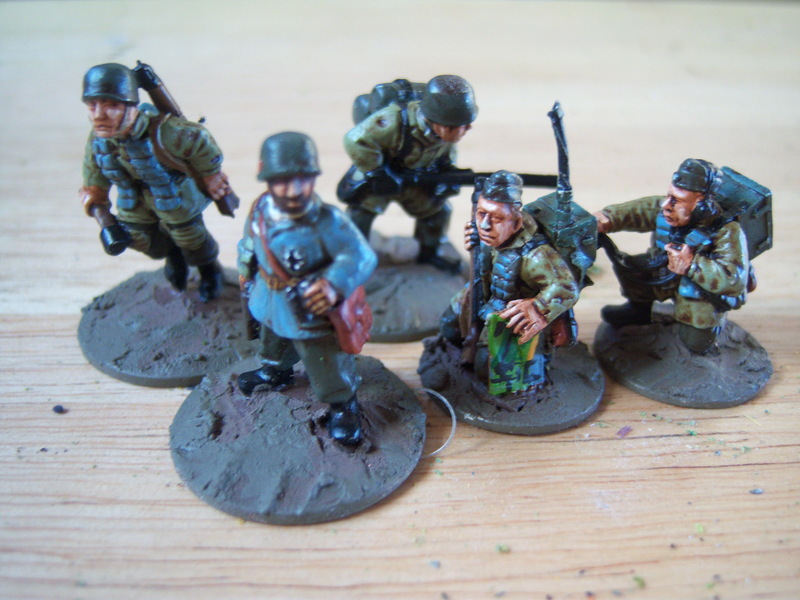 The home guard retired leaving the crew in german hands. They promptly shot the captain to wound him and possibly let him know who was the boss. They lost a few more when they realised that they would need to hold the quay to get aboard the trawler coming for them. they started to fight their way through. German trawler to the rescue. The pill-box held out for a few turns and took a few with it. 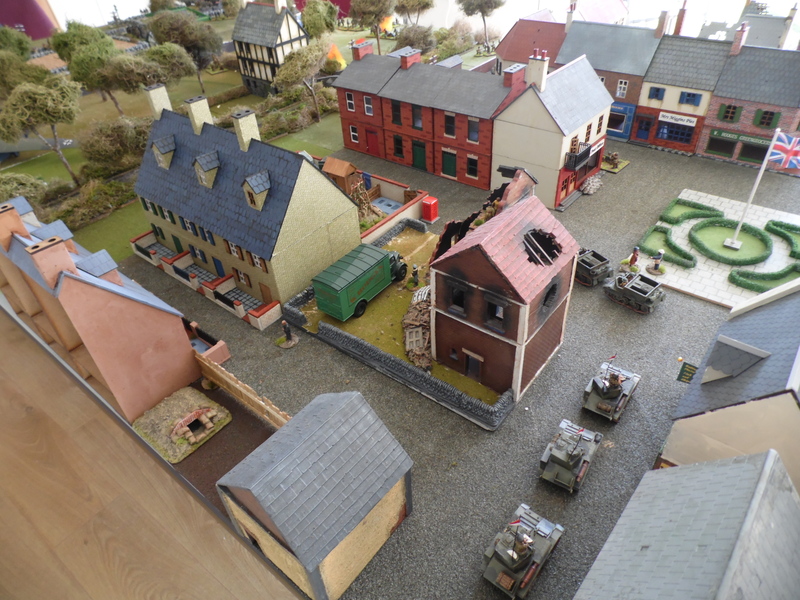 There seemed a stalemate until Mainwaring remembered the telephone no. 1066 and called for assistance. 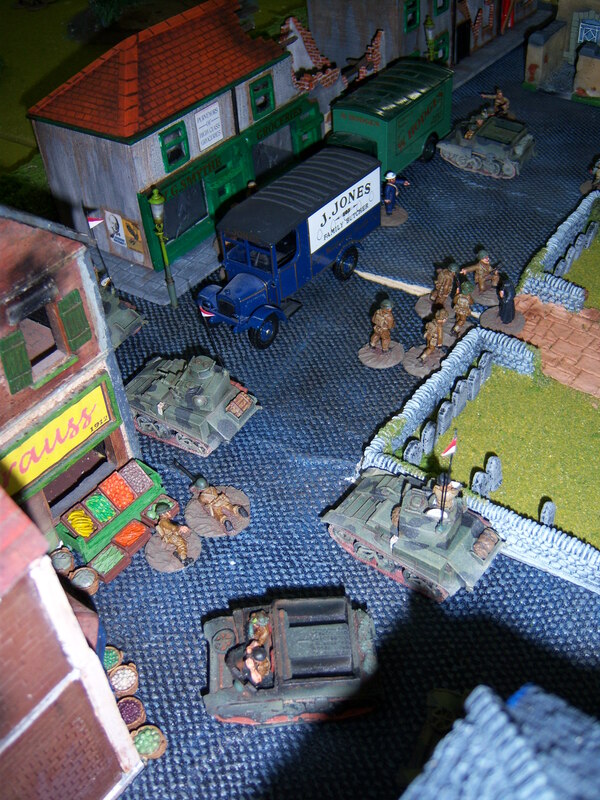 Just as the trawler came on to the table so did the British reinforcements in the shape of a bren and vickers light tanks. These managed to hold up the evacuation with one being disabled on the quay but still being able to fire long enough for the trawler to run a ground due to the tide going out. 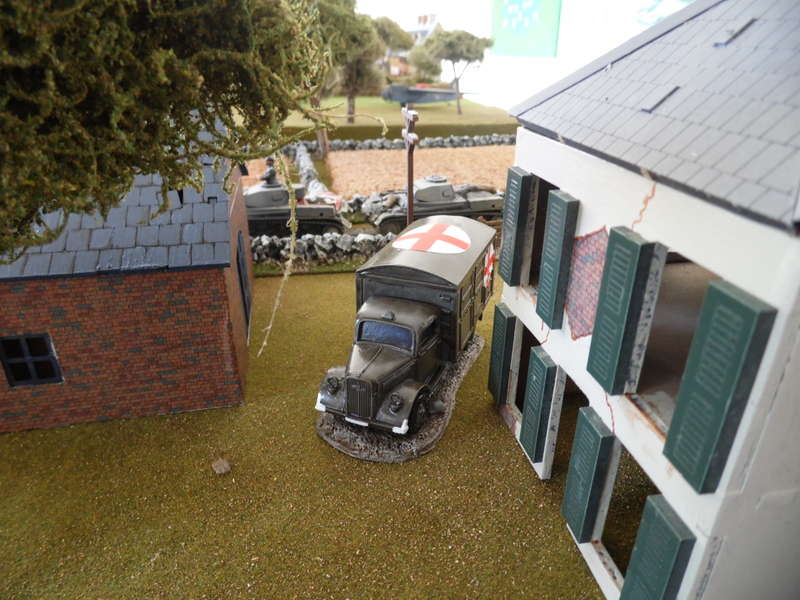 The Germans decide to surrender only after destroying the plans and shooting the captain. 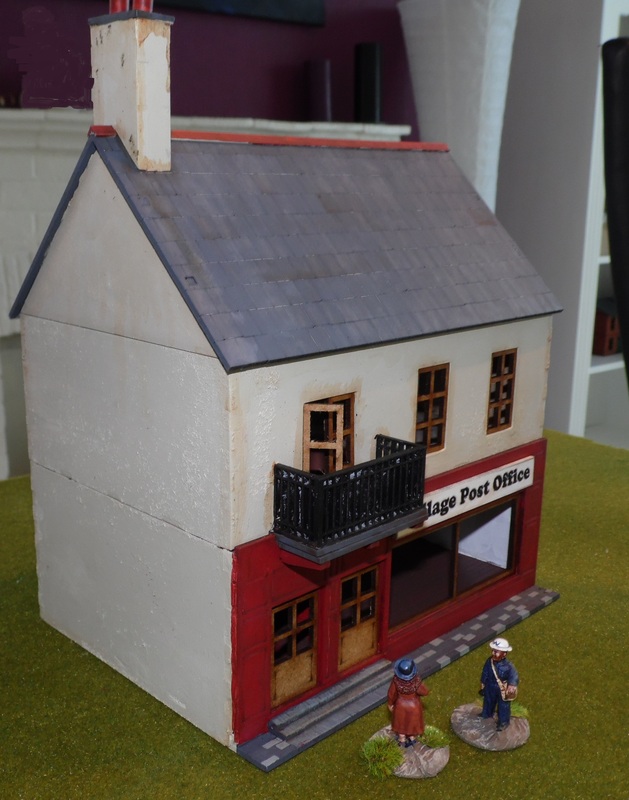 Mrs Fox was caught and ……. enough said. All agreed it was one of the best games they had ever played. In total we had 55 turns during the day and while it was a show no one drifted off during the game to buy stuff. 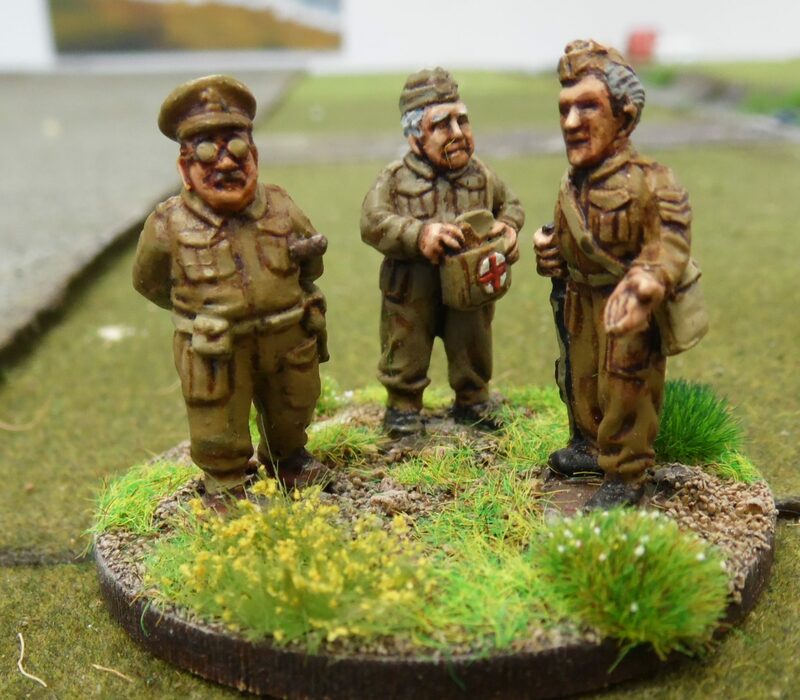 On the Sunday we replayed the game and a new day bought a victory for the Germans, they even captured Sgt Wilson, the long-lost father of one of the crew!! 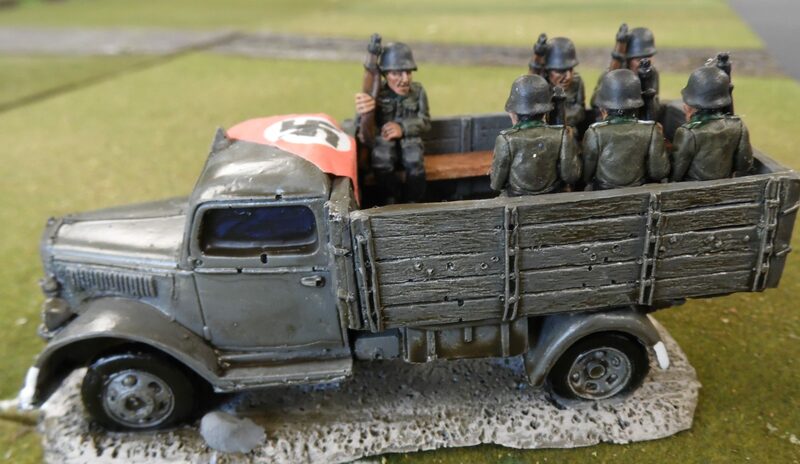 I have thought about adding a sci fi version with daleks instead on germans and the tardis acting as a troop transporter. But that is for another day. I hope have found something to enjoy from this article. 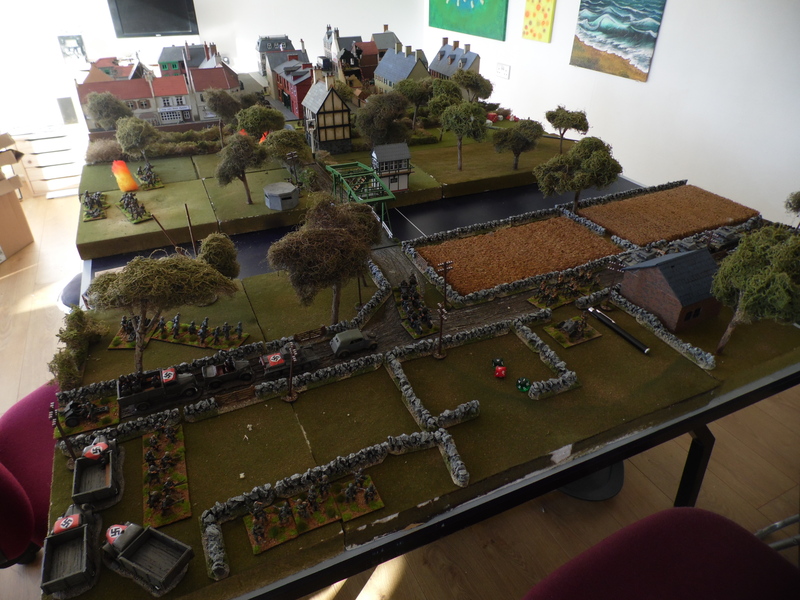 All of my wargaming mates are in to WW2 in a big way. 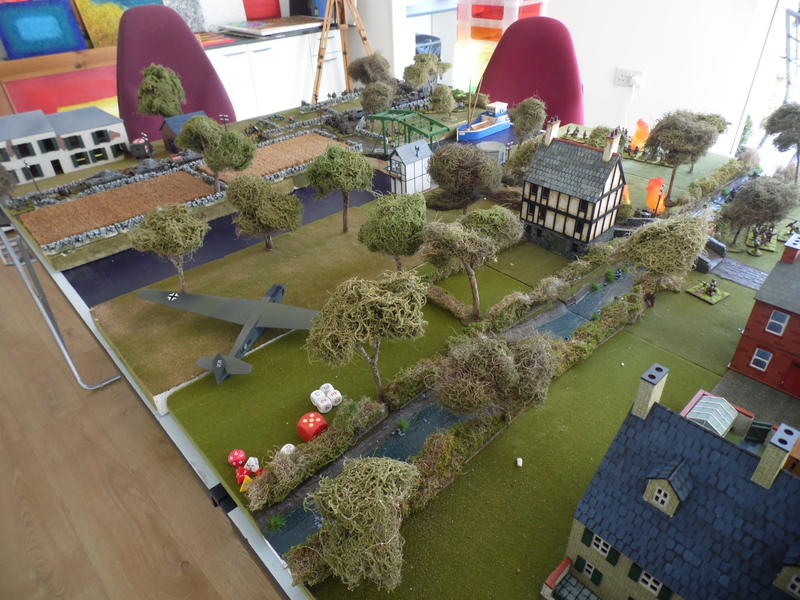 I must admit that it never really interested me but after a chat with a few of them, they convinced me to put a game on for a show and they all wanted WW2. I agreed but wanted something different. 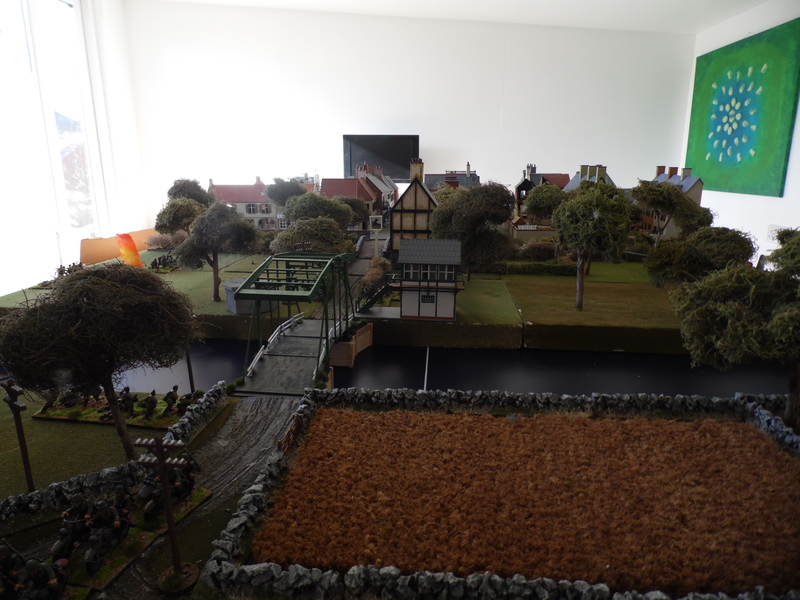 To keep me interested I needed to enjoy the theme, the rules, the figures and the terrain. 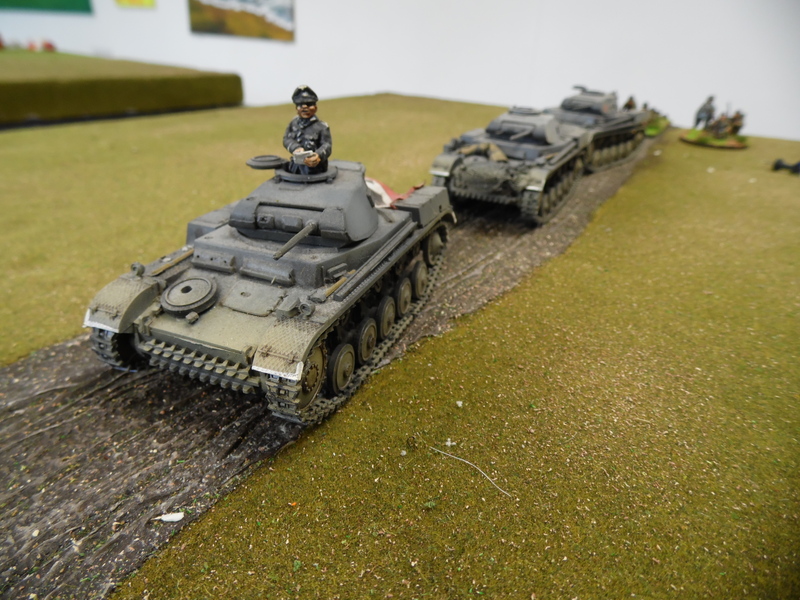 I locked myself away in my wargame room and thought. To help I put some DVDs on. One of these happened to the Dad’s army feature film. 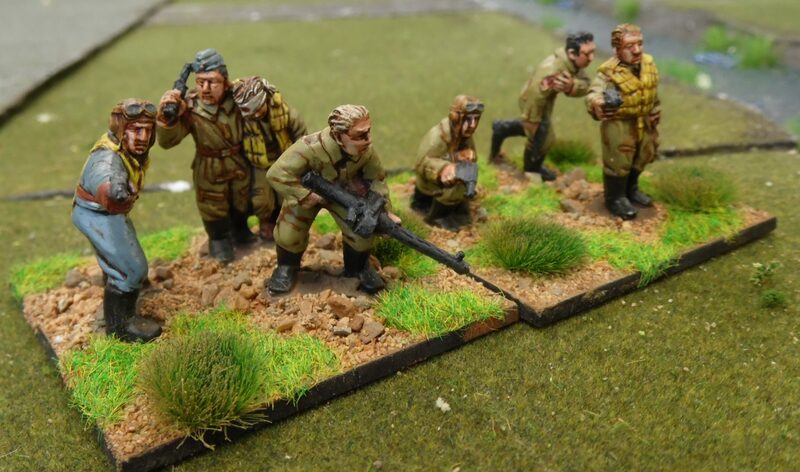 How about, a shot down German recon unit who were checking out the British coast pre operation “Sealion”. Unfortunately they had a copy of the plans with them. This must not fall into British hands. 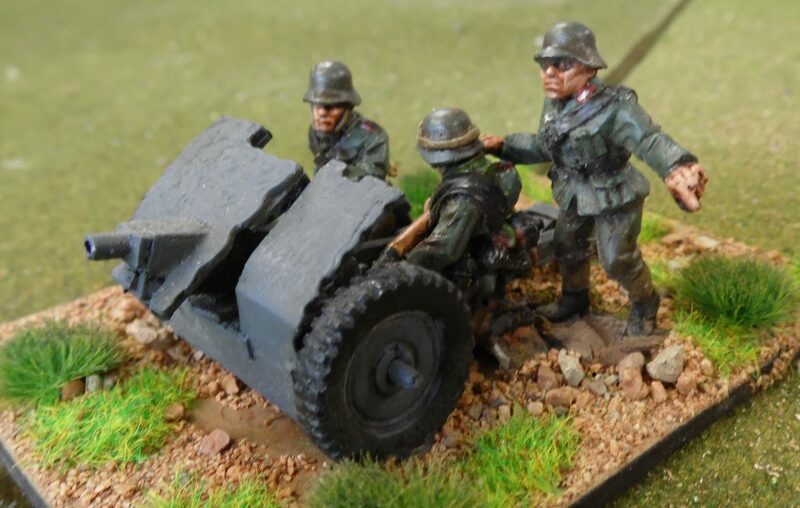 A rescue mission is launched (Fallschirmjager) to rescue/destroy the plans, oh yes, and possibly the crew! 5th columnist help by blowing up communication points e.g. telephone boxes etc but who? 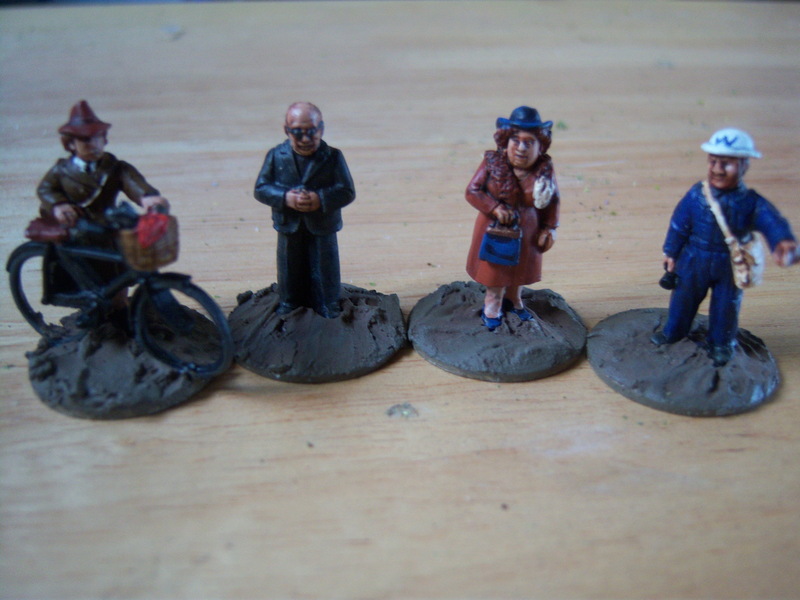 These were the character from dad’s army; Mrs Fox, verger, vicar, Hodges etc. I added some separate mission cards to add a bit of flavour. These are randomly drawn before the game. This makes every game different. In the first game it turned out that one of the rescue team found out his wife had been having an affair, unfortunately with one of the downed crew! Does he rescue the plans and kill the crew member or resist and save him getting more victory points? Jones gets +1 in combat if player shouts ”they don’t like it up them“ when they roll. Godfrey – every turn on a roll of a 1 misses the turn due to the call of nature. 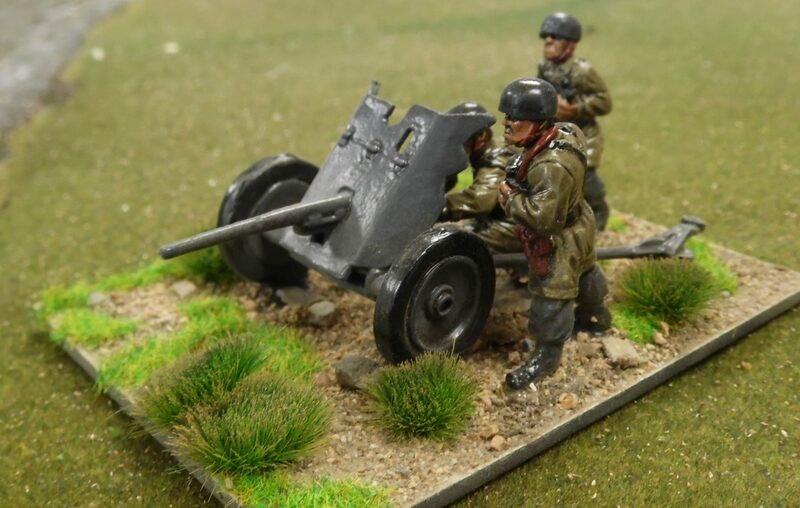 Had to be the Wargames Foundry range. The odd figure supplemented from Blacktree. 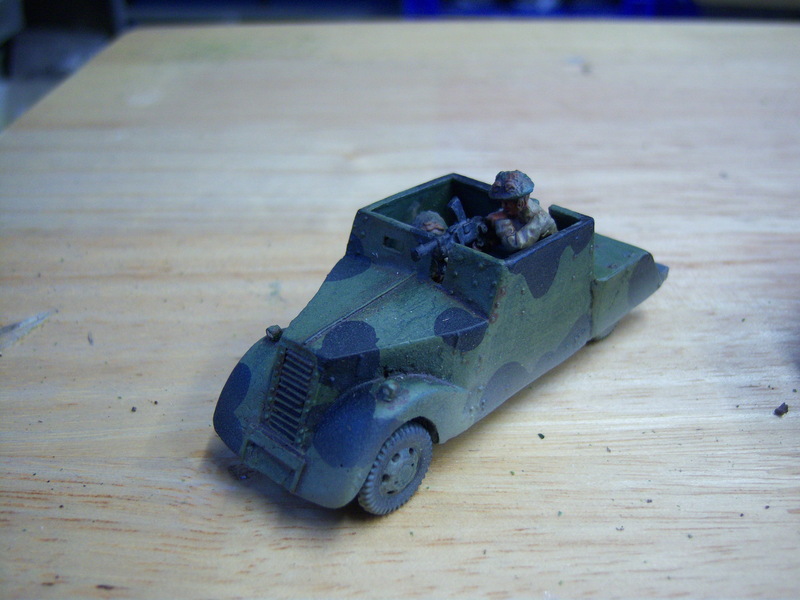 Bren carriers – scratch built by me and cast in resin. I think they look great. 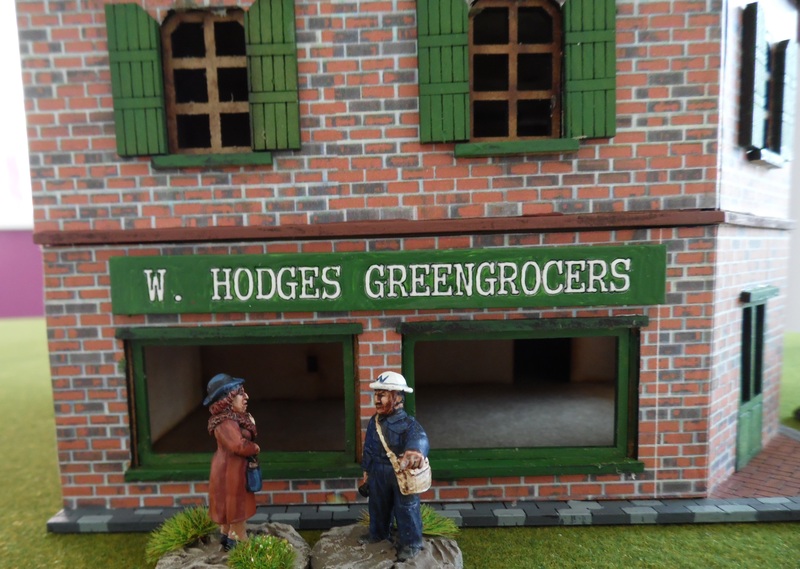 Hodges and Jones vehicles by Corgi? 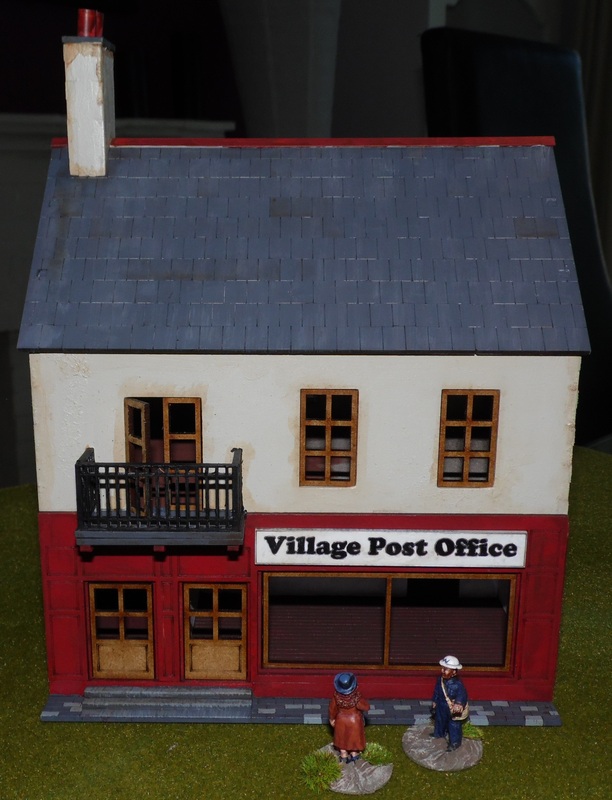 Mainly Grand Manner – Nice buildings, not cheap. 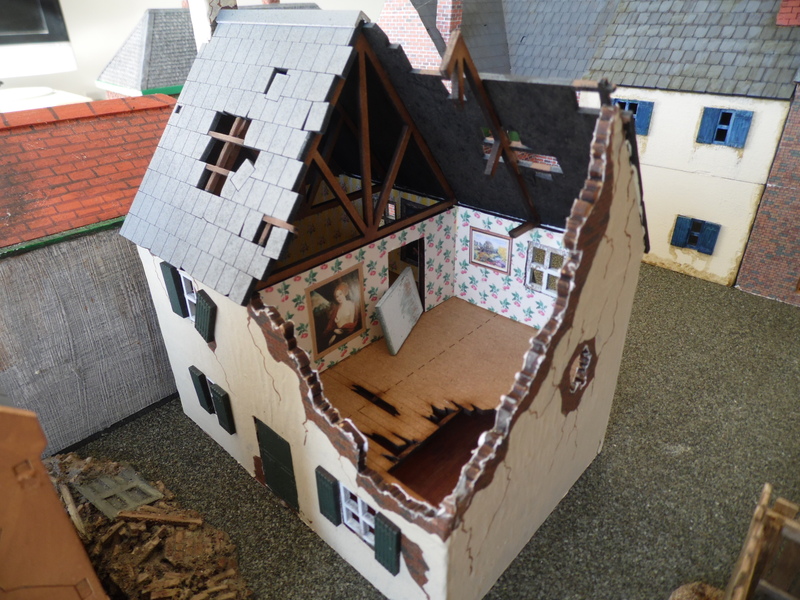 Decided to glue roofs down to protect as constantly removing roofs and floors to move figures really slowed down play testing. 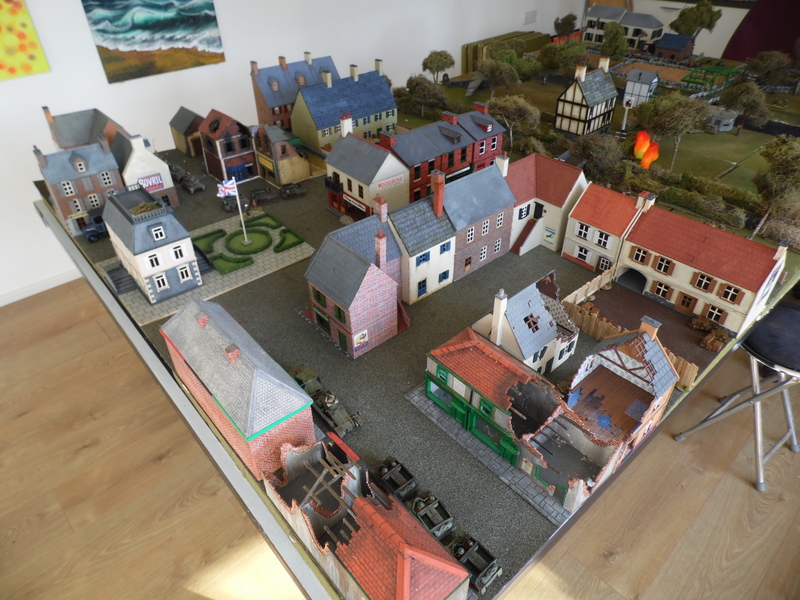 Various others were scratch built by me. 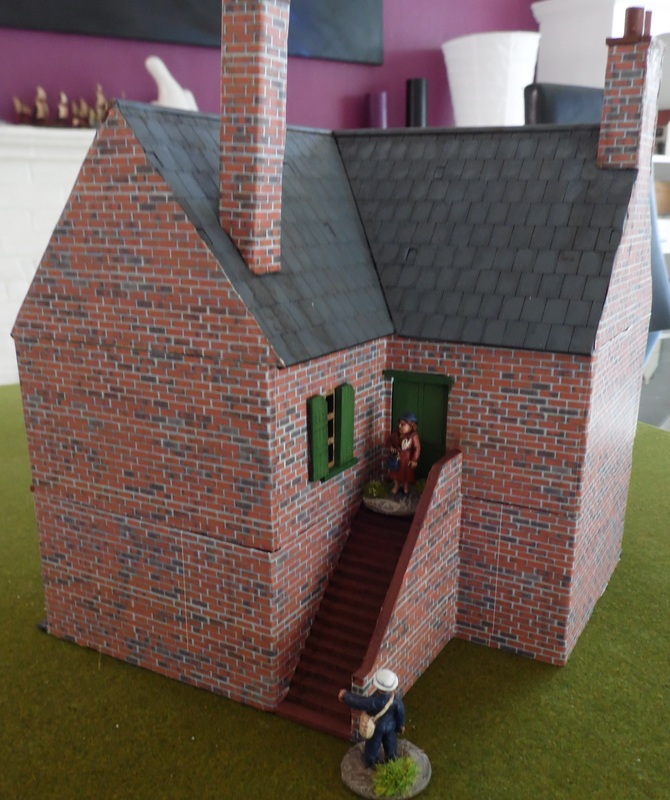 Church – hand built using individual blocks, never again. 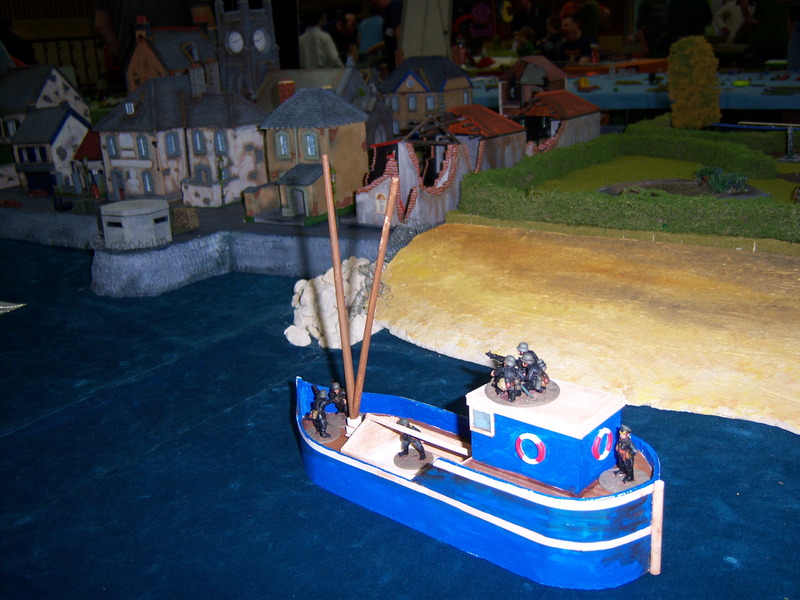 Trawler – Scratch built. 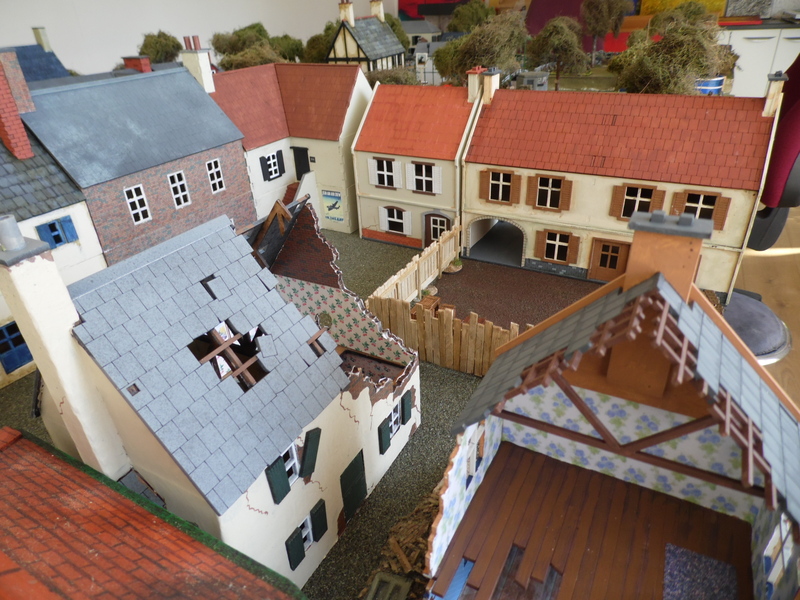 Used by Germans as an option for rescue/escape. 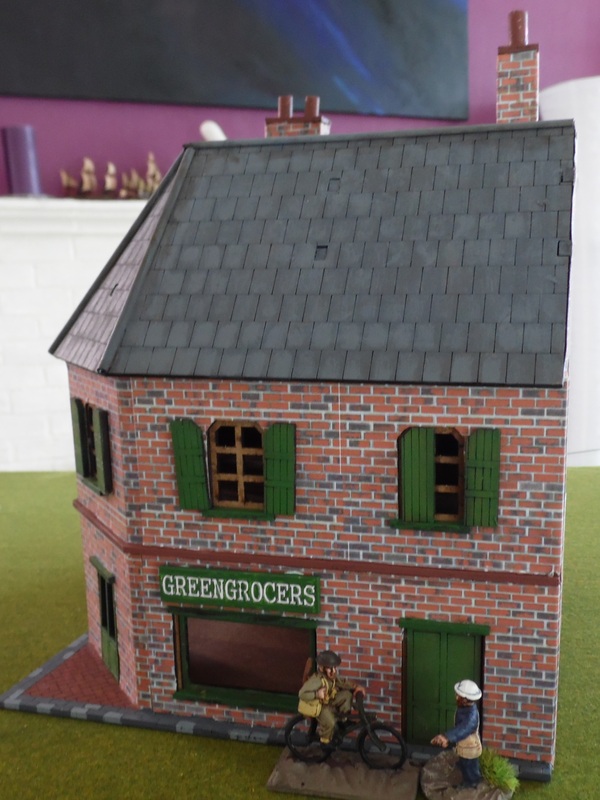 Anderson shelters – Scratch built (best mate Brian Collins and myself) and cast in resin. 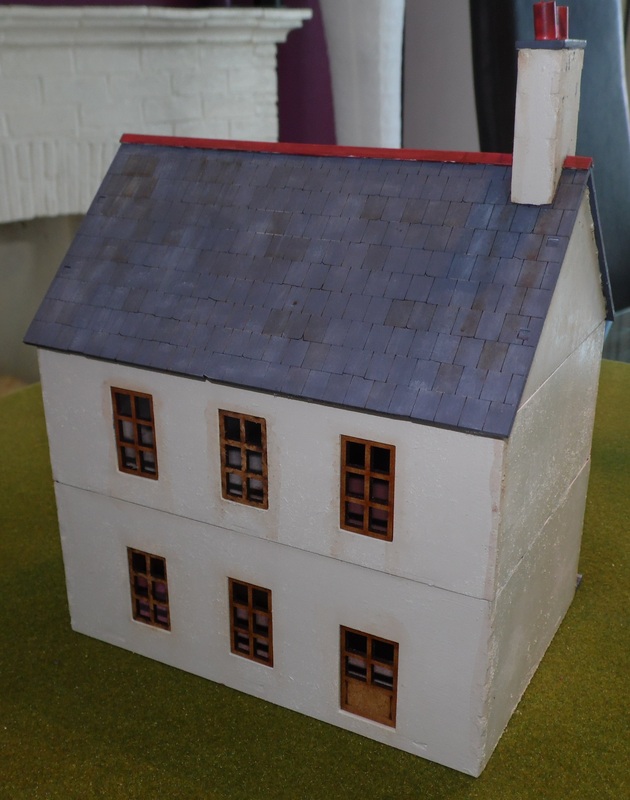 Light house – Scratch built from that staple diet for wargamers, a pot noodle. Next blog may detail how the game went.